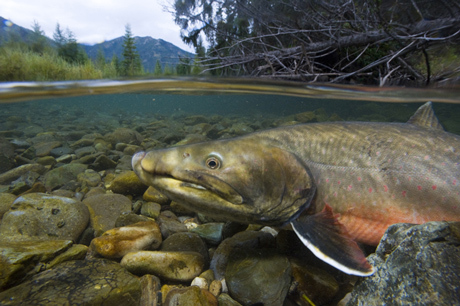 When bull trout were listed as a threatened species in 1999, their numbers had already been reduced by 60%. Yet the Revised Draft Bull Trout Recovery Plan would allow another 25% of local populations to disappear! That’s NOT recovery, and Fish and Wildlife Service needs to hear that from you loud and clear! 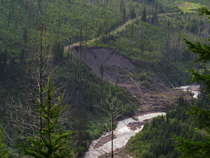 Tell FWS to establish firm population, habitat and monitoring standards in its Recovery Plan that will ensure bull trout thrive in all areas they are found today and that will restore them to significant portions of their former range. Click here for a more detailed 3-page alert prepared by Friends of the Wild Swan. Click here to download a copy of the Revised Draft Recovery Plan. THANK YOU for taking a moment to help protect the clean, cold waters needed by bull trout, other native fish and people!